BAKERSFIELD, CA - Sweet potatoes may have carved their way into a year-round demand for consumers, but Thanksgiving will always be the time they shine brightest. As the tuber’s peak demand of the year approaches, Country Sweet Produce is introducing a new spin on its favored product. 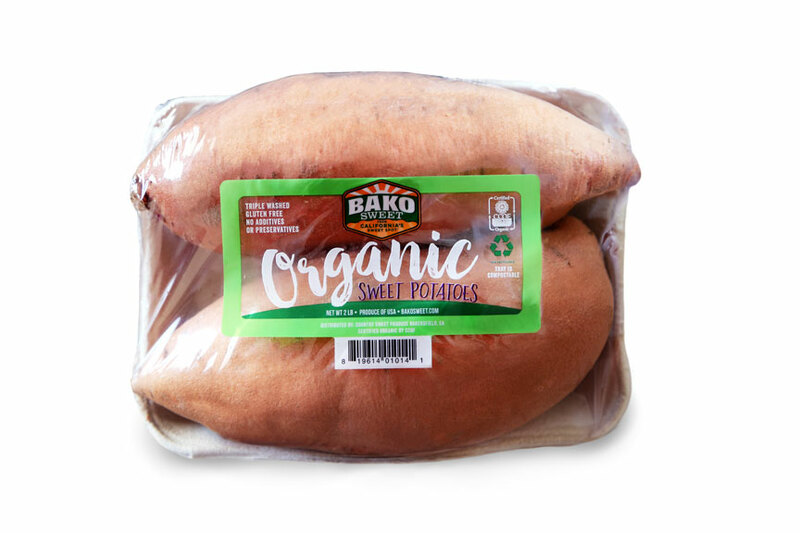 “We are excited to introduce our new 2 Count Organic Bako Sweet® Sweet Potato Tray. With all the great response on the 4 Count Tray from retailers and consumers alike, we decided to expand the line by offering different sized sweet potatoes,” Gina Pettit, Director of Sales and Marketing for Country Sweet, tells me. The new 2 count tray is packed with two traditional number one-sized sweet potatoes. Most shoppers, Gina explains, prefer a traditionally sized sweet potato this time of year because of the amount required in most holiday recipes. On that note, I ask her what she and the team are seeing when it comes to sweet potato trends, both organic and conventional. “Organics continue to gain interest across the board. We feel consumers have higher expectations for organic produce and we want to deliver that to them. This item displays well in stores—showcasing clean, handpicked sweet potatoes that are consistently sized and uniformly packed in compostable and recyclable packaging,” Gina answers. She tells me that the new 2 Count Organic Bako Sweet® Sweet Potato Tray meets all organic value-added needs, plus being scannable so retailers are able to capture organic sweet potato sales and gauge growing performance and interest within the category. Available now and ready for those holiday needs, Country Sweet will offer this item year-round in retail stores in various regions of the country. And there is still more yet to come, Gina and the team assure me. “Our Organic Bako Sweet® Baby Sweet Potatoes will softly launch in our fourth quarter, and hit all markets in the early part of the first quarter,” she promises. Keep an eye on AndNowUKnow as we bring you the latest in all fresh produce introductions throughout the coming holiday season and beyond.